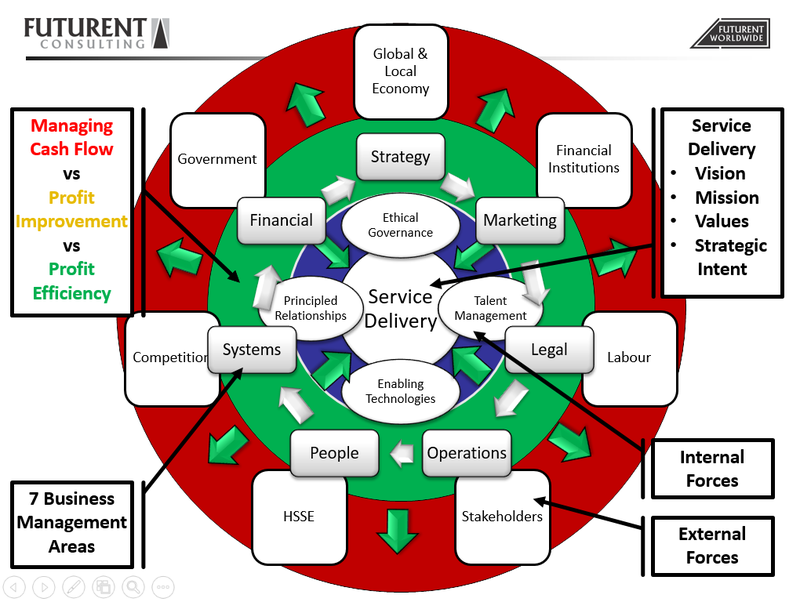 FUTURENT Consulting is a management consulting company. We focus on Wholesale, Retail, Franchise and Industry Related Organizations. We follow a systems-based approach. We follow a structured business approach because we understand the impact and overlapping influence of different areas in a business on each other. FUTURENT Consulting is a registered South African company. We have been certified as a Level 2 B-BBEE contributor with a 125% procurement recognition level. We are also listed as a Value Adding Supplier implying a further 125% procurement recognition. The people in FUTURENT Consulting are our greatest asset and we continually strive to create an environment of supportive development and high standards of service. Our head office is situated at 27 Orpen Street, Lydiana, Pretoria and we have a satellite office in Cape Town. We provide services throughout South Africa and neighboring countries. We pride ourselves on creating a flexible and responsive partnership with our clients. Contact us today, we look forward to working with you. Morning , i just completed my N6 marketing Management Internship i will like to know if the are any other available position? We are not accepting any CVs at this time. Thank you for your interest.